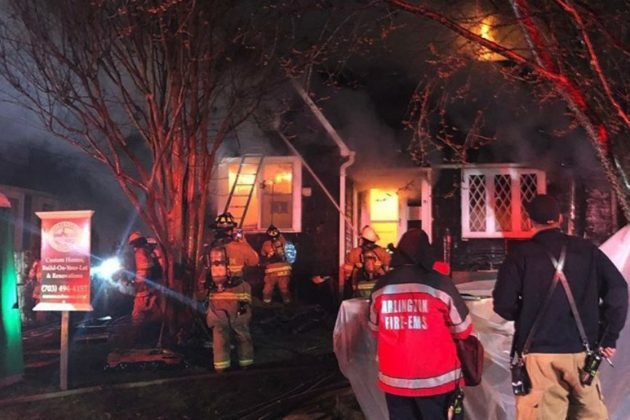 Arlington firefighters extinguished a blaze at a home under construction in a neighborhood near Ballston early this morning. 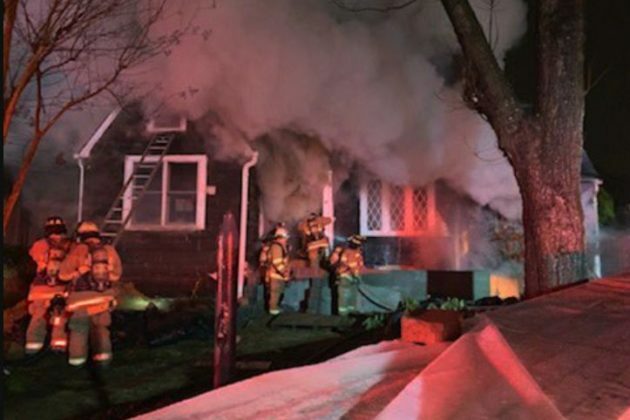 First responders were called to the 4600 block of 13th Street N., in the Waycroft-Woodlawn neighborhood, around 1 a.m. today (Tuesday). 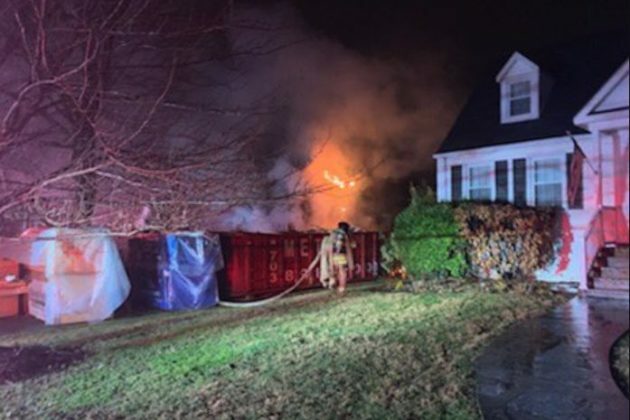 The fire broke out the basement of a two-story house that was currently being worked on, according to the county fire department’s Twitter account. The flames and smoke were so heavy that firefighters had to battle much of the inferno from outside the home. 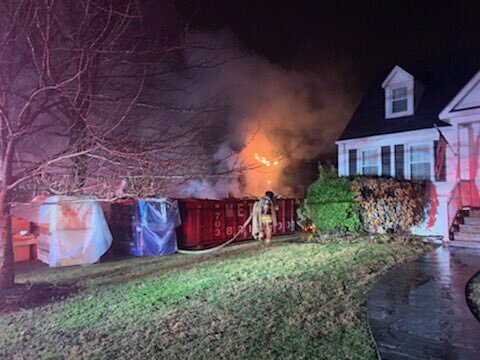 No one was inside the home when the fire started and no injuries were reported. Fire marshals are still investigating what sparked the blaze.